With festivities and food for all, the Community Gardens of Henry County celebrated the holidays together this December! to everyone who helped provide food, music and cheer! In 2017 , the Helping Harvest Garden at Wesley Way donated over 5,000 pounds of fresh produce to the Helping in His Name Food Pantry. This produce was grown by volunteers with a commitment to ensuring that food insecure members of the community not only have their basic, caloric needs met, but also receive healthy food. Join us in charting the hard work of our gardeners and volunteers this summer! TIME FOR PLANTING THE SUMMER'S HARVEST! Though summer weather has been heating our days and our soil since March, the time has finally come to plant your summer harvest! Sweet potatoes, tomatoes, peppers and eggplant seedlings can finally be placed in the soil without fear of frost. With Spring finally underway, the time has come to get your seeds and seedlings in the ground! The Community Gardens of Henry County hosted an early spring plant sale on March 18 at the Windy Hill Garden to give longtime gardeners a chance to purchase plants and take care of membership paperwork. New and prospective members were also invited to join, preview the available plots at Windy Hill, and speak with members of the Board about what a commitment to the garden might look like. As the weather warms, CGHC has put together another plant sale to give returning and new members the chance to buy such warm season plants as tomatoes and peppers. Selections will vary, and event organizers are working to supply a healthy and interesting variety of crops! Those interested in attending the event can click below for more details. Volunteers are needed for the event! Take a minute to vote once a day if you want to help build more community gardens in Henry County. 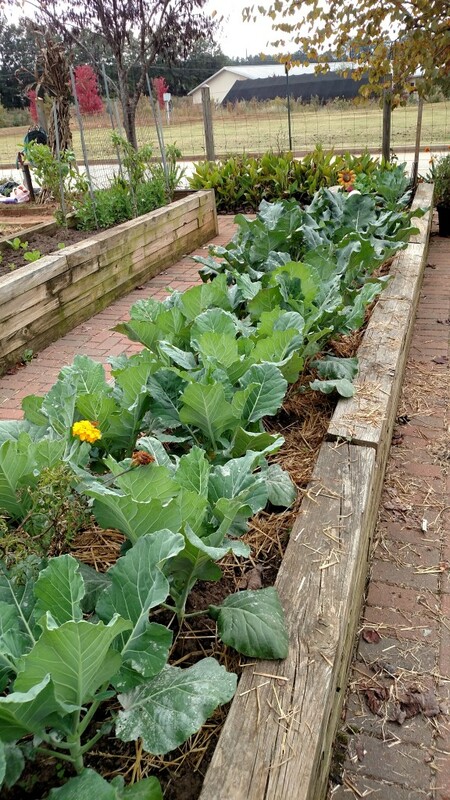 Community Gardens of Henry County is partnering with the Atlanta Community Food Bank to compete for funding for a brand-new green-garden made from recycled materials. The garden will not only provide a community with a safe space to connect and enjoy nature, but it will allow residents to grow their own fresh food. Garnier and TerraCycle are partnering to host this vote off. We can win, but we need you! Click here to cast your vote for our partner, the Atlanta Community Food Bank. Remember: scroll to the bottom of the page and fill out your ballot. Keep voting! You may vote once per day. 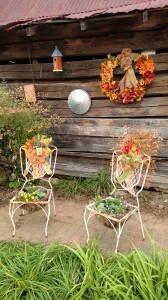 The organization with the most votes by the end of the contest will win the garden. Tip: Remember to spread the word on social media and encourage others to vote! And don’t forget to provide the link to this page in your posts. Grand Prize: The community organization that has earned the most votes during the contest period will be eligible to win an outdoor garden! TerraCycle will work with the winning organization to coordinate the installation. Plots Seeking Gardeners! Are You Seeking a Garden? On-site gardening instruction 4. Participation in all CGHC social and community events. To become a member of Community Gardens of Henry County (CGHC) and rent a plot, there is a one-time mandatory Membership Fee of $25 and a $50.00 annual Garden Plot Fee. These funds make it possible for CGHC to provide: all garden tools, soil amendments, seeds, water, tiller and other gardening supplies. Click here to request a plot and find out more about becoming a member of Community Gardens of Henry County (CGHC). 2016 stretches out bright and shiny before us. What surprises will it bring? How will we grow? What will we grow? Whether you’re an experienced gardener or looking to get your hands dirty for the first time, gardening can be a gift to yourself (and others) in so many ways! The good work we put into planting something in the ground, or with our community, frequently has a way of yielding personal benefit. This is the #1 New Year’s resolution (and not just because we put it first on our list). The great news is that gardening is a wonderful way to get fit! Every time you squat to pull out a week or pluck a ripe strawberry, you’re working your core, your glutes, your hamstrings. Repeatedly reaching across a garden bed or hefting a shovel full of compost has it’s benefits: some estimates suggest gardening can burn 100-200 calories an hour. Even better, gardening is a one-two punch for health: not only does it improve overall fitness, but everything that comes out of that gorgeous plot is chock-full of nutrition! Make a plan and keep a garden notebook. Intensive planting: Take full advantage of your limited space by squeezing deep-rooted vegetables next to shallow. Also consider shade preferences and height: try extending lettuce’s growing season by planting it in the shady spots between between rows of okra. Companion planting – You’re hosting a party in your garden bed! Consider who likes growing next to who (Tomato, meet Basil. Basil, may I introduce your new best friend, Tomato?). With all this experimenting, keeping a garden notebook is worth its weight in black gold (that’s compost for you gardening newbies). Track what you put in when, pests and/or diseases you’re seeing, and create to-do lists. This information will be invaluable in creating next year’s plan. Even if it’s not possible to see our friends and family in person, we are rich in resources for staying together: video chats, phone calls, texts, emails, and even the good ol’ snail mail make it possible for us to sustain and celebrate the relationships that mean so much. Like a garden, it’s thankfully not necessary to fuss and worry over one another incessantly. Bonds can weather time apart and still be strong. However, a little love and attention is never remiss and is meaningful to everyone involved. Get the most out of your garden. Experts who have studied these things suggest that the way to learn a new habit is to share it with others who can help hold you accountable. Who better to help make sure you’re getting your weeding and harvesting done than your friend and fellow gardener? Community gardens are for everyone: experts, novices, young, and old. Digging in the dirt has many direct benefits, but the most important take aways you may have from your community garden are the relationship to make and nurture there. 3. Learn and try new things. Discovering new things has a way of teaching us about ourselves. Exploration is a wondrous: whether we go to a place we’ve only ever dreamed about; read a book we’ve been meaning to for years; or attempt to acquire a skill we’ve never depended upon having. As the new year goes forward, it may seem like some that have come before, it may not. Regardless, it’s unchartered territory. The same goes for the seasons themselves. As you garden, you’ll affirm that “spring” isn’t a set date on the calendar. It may be a swinging variety of temperatures, a seemingly ceaseless deluge of rain, or a blip on the radar before the early advent of summer. All you can do is take it as it comes and learn things along the way. Push your own boundaries: plant new and different varieties. Is there an heirloom variety you’ve always wanted to try? A oddly colored vegetable you’d love to see in person? It’s your garden: try it out! Maybe this is the year you learn to love beets. Maybe it’s not. Perhaps you didn’t know that not only are sweet potato greens edible, they’re packed with nutrition and incredibly delicious? Try something new in your garden just for the sake of giving it a go. Who knows what will happen next? Give back to the community and volunteer. You have a difference to make. As a gardener with Community Gardens of Henry County (CGHC), you are asked to visit and volunteer at gardens throughout our network. In doing so, you can support your fellow gardeners by giving of your time and talents. Added bonus: it’s a mystery as to how exactly this happens, but by giving of yourself, it’s highly likely you’ll walk away enriched! Compost is a lot like volunteering: the vitality that was once somewhere else has been reinvested and made available to others who need it. Growing season after growing season, the soil in your garden bed offers up so much. Start the new year year off right by treating it to a little extra of what it needs. Just like your community, that extra oomph will go the distance in carrying you to your goals. Bigger, bolder, more drought, disease, and pest-resistant plants are in your future. Sometimes it feels like there’s never enough time in the day. That it doesn’t make a difference how hard you try, nothing’s going to work out. Or that there are too many demands from too many people and there’s no way to say “no.” The thing is, most of the time, these things don’t change. It’s just the way of it. Things don’t necessarily get better when the situation changes. Instead, the most significant difference is made when you’re able to transform how you see things. Maybe it’s not that there’s not enough time, it’s just that not everything is important. Or that just sitting on the couch, relaxing, is more important than some other things. And perhaps the outcome really doesn’t matter as much as the experience: “done” can be better than “perfect.” Gardening is a great way to slow down, surround yourself with green, breathe the fresh air, listen to the birdsong, enjoy those gentle zephyrs, and savor the timeless, steady inhale/exhale from Spring to Summer to Fall to Winter and back again. Appreciate the literal fruits of your labor! Waste not, want not. In the U.S., it’s estimated that approximately 30 to 40 percent of the food supply is wasted. At the same time, 48 million Americans don’t get enough to eat. We’re wasting and we’re wanting. On the more individual level, we can miss out on opportunities to savor the meaningful moments of life. Growing and enjoying your garden is great, but it’s not the end all be all. You also get food! Don’t miss out on the chance to make the most of your productivity. Take the time to revel in your success: harvest is both something you’ve earned and a time deserving of your attention By appreciating a ripe berry, tender green, or crisp vegetable, you also give yourself a hearty pat on the back. Clean up days are now scheduled at all the community gardens in anticipation of planting winter gardens in September when the soil cools down with fall temperatures. Pictured here is the Windy Hill Garden which still has some work to be done but we are getting there. The last summer clean up is scheduled at Heritage Village this Saturday, August 229:00 a.m. and at Wesley Way on August 29th at9:00 a.m.
Spring is on the Way at Our Community Gardens! For sure, Spring can’t be far away when the Red Bud trees begin to bloom at our Heritage Garden. 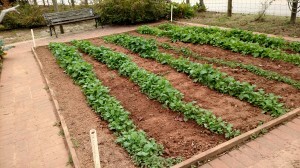 We are excited to get going with our spring gardens! Enjoy this lovely photo and be inspired to get busy in your garden too! Garden clean up days are scheduled for Saturday, March 21, 9:00 am at our Wesley Way Garden and at Heritage, Wednesday, March 25 at 9:00 a.m. Gardeners and volunteers mark your calendar.